4 Channel NVR, H.264/G.711A Compression format, VGA/HDMI simultaneous outputs, 960P resolution. Hard drive not included. 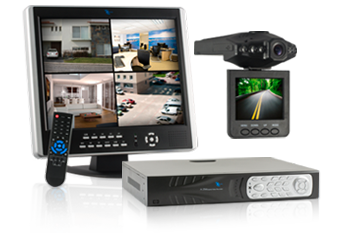 4 Channel NVR, H.264 Compression format, VGA/HDMI simultaneous outputs, Pentaplex function, ONVIF protocol. Hard drive not included. 8 Channel NVR, H.264 Compression format, VGA/HDMI simultaneous outputs, Pentaplex function, ONVIF protocol. Hard drive not included. 16 Channel NVR, H.264 Compression format, VGA/HDMI simultaneous outputs, Pentaplex function, ONVIF protocol. Hard drive not included. LineMak HD-MAK, 4 Channel NVR, H.264/G.711A Compression formats, VGA/HDMI simultaneous outputs, PoE technology, ONVIF protocol. Hard drive not included. LineMak HD-MAK, 8 Channel NVR, H.264/G.711A Compression formats, VGA/HDMI simultaneous outputs, PoE technology, ONVIF protocol. Hard drive not included. LineMak HD-MAK, 16 channel NVR, H.264/G.711A Compression formats, VGA/HDMI simultaneous outputs, ONVIF protocol. Hard drive not included. LineMak HD-MAK, 32 Channel NVR, H.264/G.711A Compression format, VGA/HDMI simultaneous output, ONVIF protocol. Hard drive not included. 8 Channel HVR, H.264/G.711A Compression format, BNC/VGA/HDMI simultaneous outputs, Audio 8-Ch in/1-Ch out, 3G/Wi-Fi, D1 resolution. 16 Channel HVR, H.264/G.711A, BNC/VGA/HDMI output simultaneous, Audio 4-Ch in/1-Ch out, 3G/Wi-Fi, D1 resolution. Hard drive not included. 16 Channel HVR, H.264/G.711A Compression format, D1/960H Resolution, BNC/VGA/HDMI simultaneous outputs, Audio 16-Ch in/1-Ch out, 3G/Wi-Fi. 24 Channel HVR, H.264/G.711A Compression formats, D1/CIF Resolutions, BNC/VGA/HDMI simultaneous outputs, Audio 16-Ch in/1-Ch out, 3G/Wi-Fi. 32 Channel HVR, H.264/G.711A Compression formats, BNC/VGA/HDMI simultaneous outputs, Audio 16-Ch in/1-Ch out, 3G/Wi-Fi, D1/CIF Resolutions. Portable DVR for Cars, 1/4" CMOS HD Image Sensor, 2.5" TFT-LCD display, 6pcs LEDs, MJPG Video format, screen rotates. Portable DVR for Cars, 2.5" TFT display, 5Mp resolution, 4 LEDs, H.264, G-Sensor, Novatek CPU. Portable DVR for Cars, 2.7" TFT LCD Display, MJPEG compression format, 1/4" High Sensitivity CMOS Sensor, G-Sensor. Portable DVR for Cars, 1.3Mp CMOS Sensor, 2.7" TFT-LCD Display, HDMI, MJPEG, 1080P Video resolution.